Heeft u een vraag voor Ngeluwungan Boutique Villa? 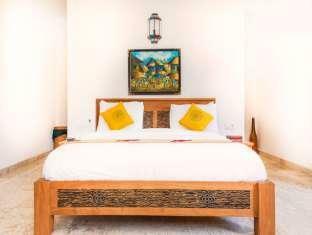 Gunstig gelegen in Bali, is het Ngeluwungan Boutique Villa een goede uitvalsbasis om deze levendige stad te ontdekken. Het hotel ligt slechts 1. Km van het stadscentrum: lokale bezienswaardigheden zijn dus snel te bereiken. Dankzij de praktische locatie liggen alle belangrijke trekpleisters in de buurt van het hotel. Profiteer van de ongeëvenaarde dienstverlening en voorzieningen in dit hotel in Bali. Maak in het hotel gebruik van een selectie topklasse faciliteiten, zoals gratis wi-fi in alle kamers, 24-uur receptie, snel in- en uitchecken, bagageopslag, wi-fi in openbare ruimtes. Gasten kunnen kiezen uit 6 kamers, stuk voor stuk plezierig en comfortabel ingericht. Hotelfaciliteiten als zwembad (buiten), wellnessfaciliteiten, massage, zwembad (voor kinderen), tuin bieden alle gelegenheid om te ontspannen na een drukke dag. 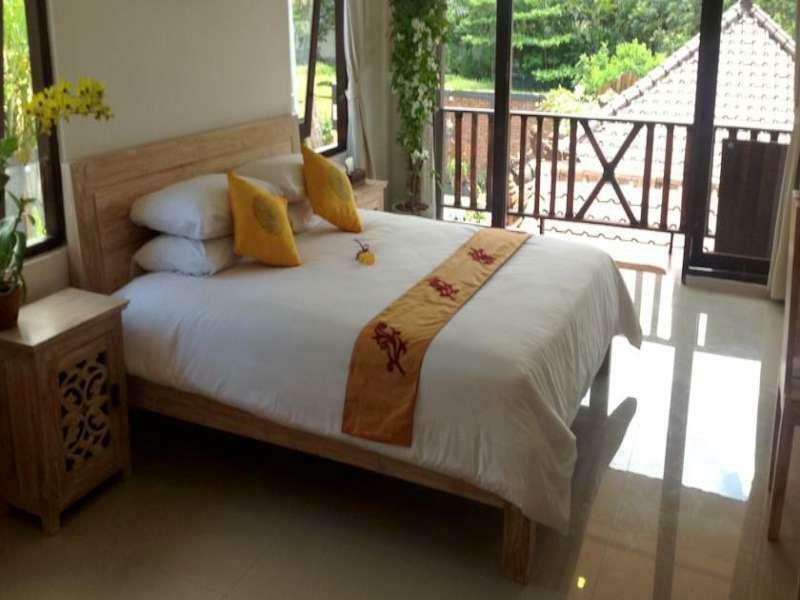 Wat de reden van uw bezoek ook is, het Ngeluwungan Boutique Villa is een uitstekende keuze voor uw verblijf in Bali. We went there for our last weekend in Bali, the villa is wonderful, very peaceful a small paradise, very close to rice fields and the beach ( less than 10 min by walk), the staff is great and very helpful. We will be back for our next trip. Chris is a great host that is customer-oriented. Made us feel at home in his villa. No hassle of checking in or checking out. Free airport transfers and great internet coverage throughout the villa. Love the mattress, better than 5 stars hotel. Sunrise and sunset views were the best from 2nd-storey suite. Highly recommended. Absolutely loved this place and wish we had stayed longer. The staff were super nice and made us feel at home. Lina, the receptionist, even lent us her raincoat! The villa was beautiful and the pool was cute. There was a free seafood buffet and entertainment on Sunday night but, as vegetarians, we couldn't take part so the kitchen rustled up a vegetable curry and salad for us as an alternative. Would love to go back again the next time we are in Bali. The hotel and our villa were simply the best. 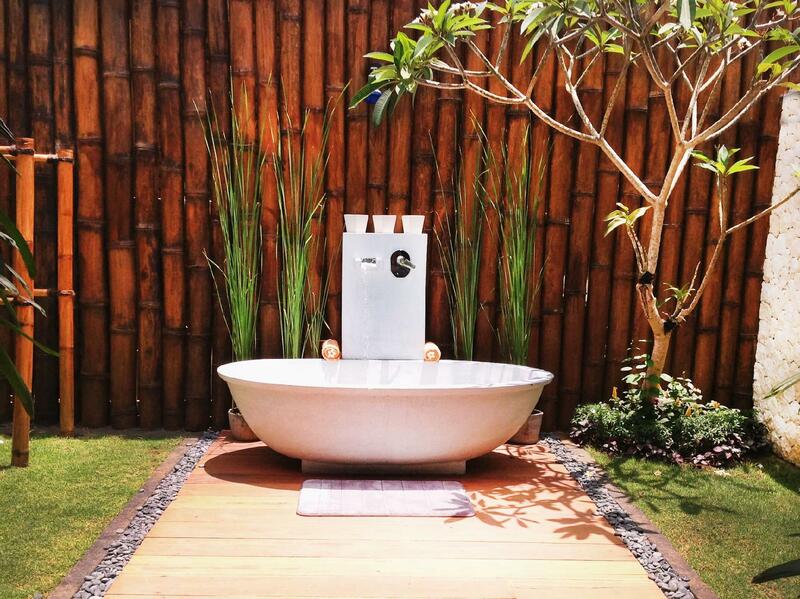 All of the little authentic touches around the property, the layout, the outdoor shower at our little villa, the koi ponds. I'd note that if you're looking for absolutely oppulent at the Ritz this isn't your spot but if you want a unique Balinese experience at a great little boutique hotel then this is your spot. What really sets this place apart is the simply amazing staff, all of them, were absolutely fantastic and genuine. They went out of their way to make our stay in this part of Bali perfect. They also split any tips provided and donate 25% of what's received to a local orphanage that they also volunteer at! 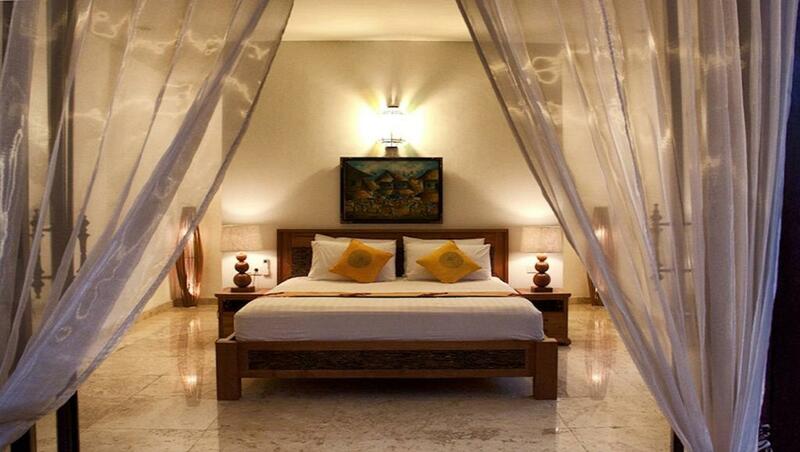 Finally the location in Canggu provides a great base for venturing out and is also a short walk down to the beach. 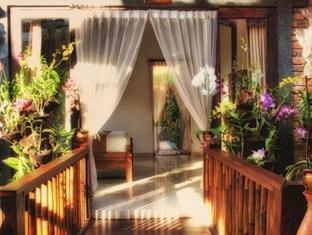 Of all the great places we stayed this place felt like coming back to our Balinese home. Book away! The staff was so kind and accommodating. They really took care of us. Their hospitality is what made our stay so special. It was our son's birthday during our stay and the staff decorated the bed with a happy birthday greeting in rose petals for our son. Such a nice gesture to make him feel special. The rooms are clean and spacious. Our room had the bathroom outside in a secluded garden, which was very cool. Access to motor bikes, drivers, etc was so easy. We would definitely stay at the villa again! Free fish dinner every Sunday, with very big fish. That's why we find it a little bit strange that at breakfast you have to pay for eggs. But overall it is a great place to start or end your holiday. Very happy and comfortable stay. 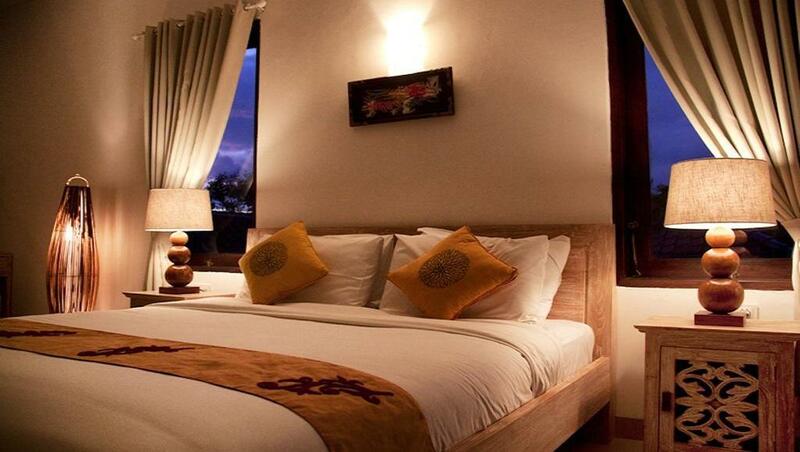 The place is about 30-45 mins out of central Seminyak so well away from the bustle. Nice pool area, friendly and attentive staff, a short walk from a surf beach. They are happy to arrange transport for their customers which is very convenient though probably means paying a small premium as one would expect. If you want a quiet place to stay thats a bit out of the centre then this is a good option. We were happy with our villa choice. Perfect if you have scooters to get around, which staff happily provide at affordable price. We got stung drinking at the villa bar though - spirits work out very expensive so stick to beer or softdrink. Love the work the villa does with the orphanage and will be donating to them as well as it is doing a wonderful job with no government assistance. Outdoor bath was too slow to fill (and only cold water) so didn't really use. Staff extremely helpful and could prepare food at any time which was brilliant. Hope to go back. 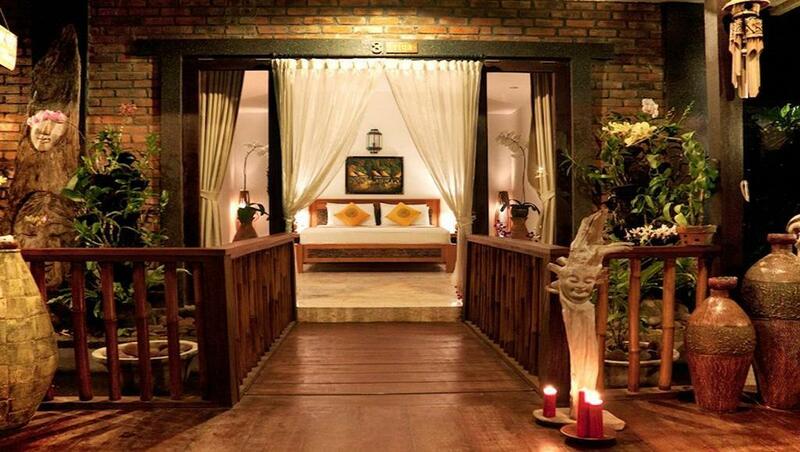 We booked this hotel because the photos suggested a location at the beach in the midst of the ricefields. and so we were a little disappointed to found out that the place is about 1 km from the beach and the view on the ricefields is only marginal. But, after one day we got to know all the members of the staff by name and were treated to a free bbq and Balinese dance-performance. Also got free use of bikes to get us to the nearby Thana Lot temple complex. Our stay was a happy one despite the initial deception. It's either this place or Lv8, which will cost you 30% more (book at least 2 weeks before you go). 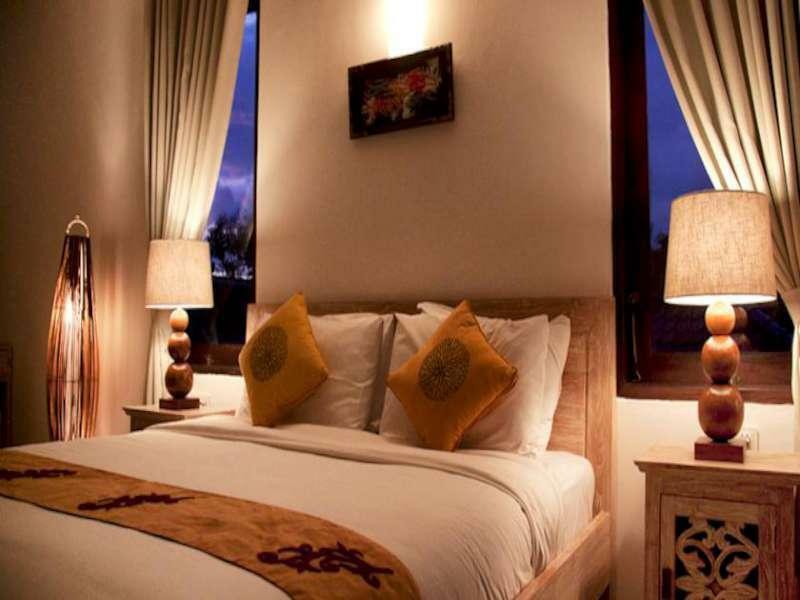 Ngeluwungan Boutique Villa has its own charm, however, and I like its huge bathroom. The room is also equipped with a fridge and a DVD player to watch movies with (you can also borrow DVDs from the dining area). The cable tv does have the usual channels enough for you to sit in. The room is clean and mosquitoes are only in the dining area. The hotel offers great extras such as tours to Tanah Lot and a mystery waterfall on Wednesdays. This place is just awesome. 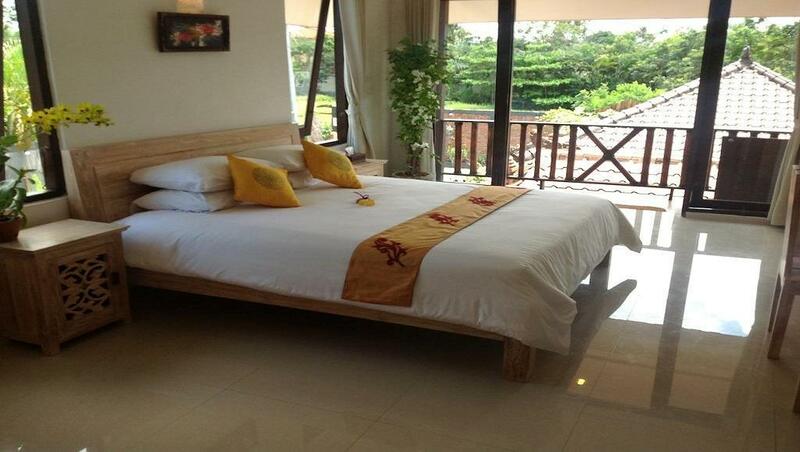 Clean, spacious rooms, comfy beds and lush garden setting. A beautifully spacious dining pagoda, with a very green garden and nice pool! The view to rice fields is stunning. The staff have all been here for 3+ years and seem truly happy; they are always helpful, friendly and fun. The owner is very caring and accommodating and spoils his guests every Sunday to a fish BBQ, which one should not miss! The beach is only a 7min walk away, though scooters can be rented right on premises too. Overall, I'm very glad I booked here and I would stay here again! me and my partner had an amazing stay at ngeluwungan. over our stay the staff went over the top to ensure our stay was a memorable one. srayul forgive me if spelt his name wrong, did everything to ensure all needs where catered to over the nyepi holiday period. pererenan beach has perfect left hander which is just directly down the road. will be returning soon. We really enjoyed our stay here. We loved the location - really peaceful but easy to get to the beach or the Main Street of Changgu either with a scooter hired from the villas or by one of the drivers. The rooms were clean and we loved the outdoor bathrooms and breakfast. Very relaxing stay! !